Emaar Properties announced plans to create a walk of fame “Dubai Stars” to recognise global celebrities and influencers in Downtown Dubai. The new walk of fame is four times bigger than its peer in Los Angeles, the Government of Dubai Media Office (GDMO) said on its website. The Dubai-based developer will launch a global social campaign for people across the globe to nominate their favourite celebrities and influencers for the first 400 stars to be featured at Dubai Stars. The first phase of the project will be established near the Sheikh Mohammed Bin Rashid Boulevard in Downtown Dubai. It will be unveiled in October 2019 at a mega event that will be attended by the 400 featured celebrities who will launch their respective star. Dubai Stars, that will have over 10,000 stars, will play a key role in attracting more tourists, as Emaar is hoping that the project will become one of the “most-visited tourist attractions”, GDMO noted. “With Dubai Stars we are further highlighting our commitment to making Dubai the best city in the world, and to promoting arts, culture, and sports by saluting the stars, whose contributions continue to inspire the world,” Ahmad Al Matrooshi, managing director of Emaar Properties, said. It is worth noting that Downtown Dubai has several destinations attracting tourists including Burj Khalifa, The Dubai Mall, The Dubai Fountain and Dubai Opera. 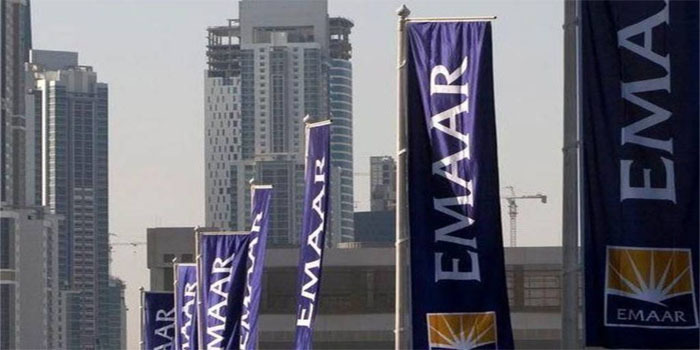 By 12:23 pm UAE time, Emaar Properties’ stock rose 1.52% at AED 4.69.